I can be a bit of a glass-half-full kind of person. After all, the subtitle of this blog is “A Newcomer’s Optimism about a (Not-So) Dying Industry.” But blind optimism is never a good thing. I’ve had plenty of mentors and supervisors express strong doubts about the future of the publishing industry, and they aren’t wrong. If the industry doesn’t change, it will fall by the way-side into cultural irrelevance. But as I always emphasize, the industry isn’t dying, it’s changing. And in the increasingly digital age, we will need to change with it. Here are five ways in which publishers can adapt to become more technologically aware and increase chances of success. Give away (some) content: In the past, publishers would never consider giving away valuable content from authors for free to readers. But nowadays, free content may just be the key for turning a digital passer-by into a paying consumer. Last week, I explained the importance of blogging for authors and publishers. By allowing consumers to benefit from an expert or author for free, they get a taste of the content they would buy in the complete book. If you can’t beat ‘em…: After last summer’s conflict with Hachette, Amazon officially earned its bad reputation among publishers. But there’s no denying that Amazon is one powerhouse of a bookseller. According to Yahoo! Finance writer Aaron Pressman, “Jeff Bezos has been saying for years that Amazon Kindle owners buy more books than they did before they owned the ereader. 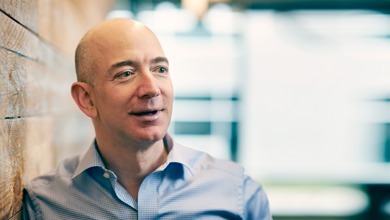 It makes sense, given that many people read more quickly on an e-reader and the device’s wireless connection lets customers buy a new ebook as soon as they’ve finished the last one.” If Bezos is correct, it would be in publishers’ best interest to investigate partnerships with Amazon. For instance, the JHU Press often sells books through Amazon, a crucial outlet for successful sales. Format for digital: Speaking of digital, it’s clear that the e-reader population is exploding. Also according to Pressman, “book sales have risen strongly since 2008, not coincidentally since e-books came on the scene. There’s more than ever to read — thus people are reading more than ever.” This is why it is important to ensure publications are perfectly formatted for reading on devices of all kinds- from Kindles to iPhones. If not, publishers will lose out to the fastest growing type of reader- the e-reader. Connect with readers: Ensuring each book has a promotional Facebook page and Twitter page where authors can connect directly with customers is a great way to enhance CRM, customer relationship management. Establishing an active conversation between the author and their audience is key, and today’s technology provides the perfect means of doing so. The question of self-publishing: With the rise of digital publishing came the rise of self-publishing, where authors can directly post their work online for profit, rather than working through a publishing house. 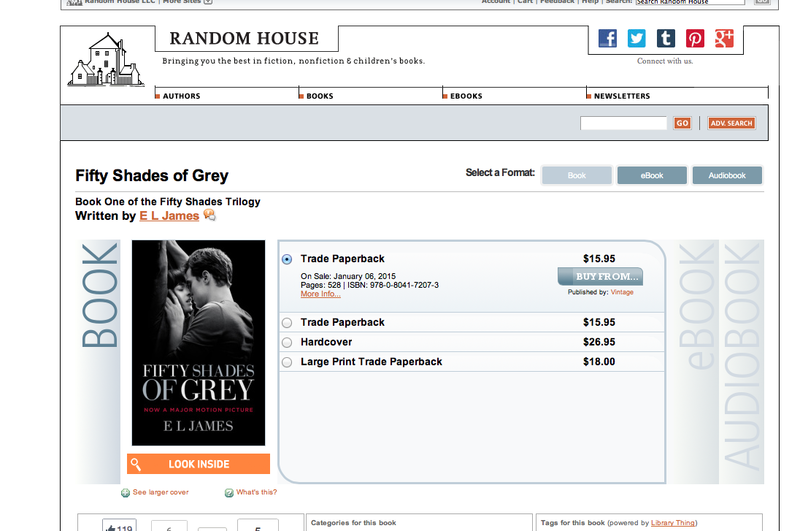 The infamous 50 Shades of Grey is an example of just how successful self-published books can be. But as writer Evan Hughes of Wired points out, “Indeed, Fifty Shades, which some have taken to be the definitive evidence in favor of self-publishing, is more accurately a demonstration of the opposite: The book became a massive commercial success only after Random House got involved, placing giant stacks of paperbacks in bookstores everywhere and buying huge ads in the London Underground.” So instead of fighting the self-publishing trend, perhaps publishers should court self-publishing authors into deals, combining the author’s raw talent with the publisher’s promotional expertise. In this way, the publishing industry would not only struggle survive alongside self- publishing authors, but thrive.